Why is electricity so expensive in South Carolina? The Sierra Club and Friends of the Earth are going for the throat of two nuclear power reactors under construction by South Carolina Electric & Gas (SCE&G) and Santee Cooper. While they’re calling for complete abandonment of the project, the environmentally focused duo also wants the utilities to pay back ratepayers. On June 22 Tom Clements of Friends of the Earth and Bob Guild of the Sierra Club took to a podium outside the state Public Service Commission to announce they’ll be demanding that the regulatory entity direct SCE&G to “immediately cease expending further capital costs” on the V.C. Summer nuclear reactor project north of Columbia. A formal complaint was filed with the commission after the event in which the organizations asked for a hearing to plead their case. In what Clements says is an unprecedented move, the hearing was granted and scheduled shortly after the filing. 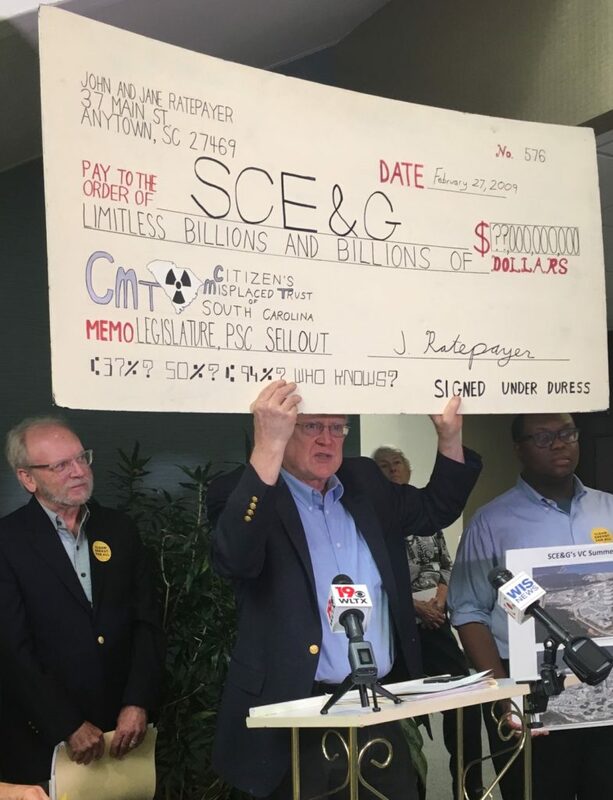 “One of the things we’re going to be asking for is accountability on the part of SCE&G for essentially creating this mess they’ve created for ratepayers,” Guild said before the press event. “We will be asking for repatriation of the money” to ratepayers, Clements said in an earlier phone call. State law allows the commission to call for “rate reparations,” essentially rebates for electricity users, from SCE&G if the commission finds the utility wasted money in attempting to build the nuclear reactors. The official complaint comes before a June 26 deadline for an assessment period in which SCE&G is looking into whether they should halt or continue the nuclear energy project. Started in 2008, the Fairfield County nuclear reactors have been burdened by cost overruns and delays. At only 37 percent completion with already $8.9 billion sunk, according to a presentation given to utility insiders, the total cost of the reactors is projected to be between $15 and $22 billion by the estimates of Friends of the Earth and the Sierra Club. Then March 2017 rolled around with a bankruptcy announcement by Westinghouse, designer of the reactors and former lead contractor. The project is “bleeding,” said Guild, and ratepayers foot a hearty chunk of the bill. The Public Service Commission deserves just as much blame as the utilities, in Clements’ assessment. Clements called this a “vow of silence” by those involved with the V.C. Summer project. In November of 2016 the Public Service Commission approved an August 2020 deadline for SCE&G’s construction at a cost cap of $13.9 billion. After nine increases on consumer’s electric bill to finance the nuclear reactors, SCE&G customers have already paid $1.4 billion towards construction. 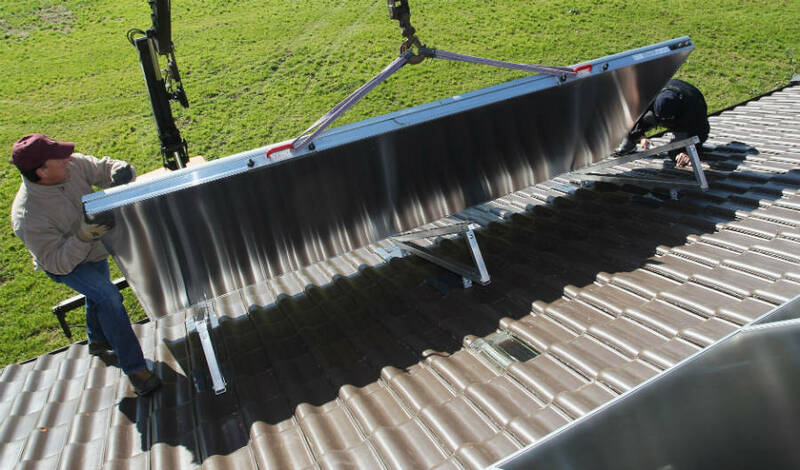 A report by the Central Electric Power cooperative, which buys electricity from state-owned utility Santee Cooper and distributes it to customers, says the co-op has put $2.8 billion into construction already. Santee Cooper has a 45 percent stake in the ongoing nuclear power plant. Santee Cooper customers would be left out of any reduction of rates as the Public Service Commission doesn’t regulate the state-run utility. How much an SCE&G refund would be worth to ratepayers in South Carolina could reach the billions, Guild said. Electric rates from SCE&G are going to be reviewed for “clawback opportunities” by an expert brought in by the Sierra Club and Friends of the Earth. Money that SCE&G has paid since they knew or should have known of Westinghouse’s bankruptcy might be set to head back to ratepayers. “How far back do we need to go to expect SCE&G to have seen the handwriting on the wall?” Guild said of the financial woes of Westinghouse and its parent company Toshiba, which have brought on much of the latest slew of spending by the power company. If the project were abandoned and SCE&G could provide evidence that it was prudent to halt construction, state law also allows the utility to charge ratepayers to recover the company’s losses. To force ratepayers to bear the brunt of their losses, SCE&G needs the approval of the Public Service Commission. So far the regulatory body has given SCE&G every rate increase they’ve asked for.